And so another year passes and more great music is released day by day, thousands of bands going unnoticed whilst Karaoke singers are hailed as national heroes every Saturday night and given millions of pounds to record xmas number ones and then fade off into obscurity before resurfacing years later as z-list celebrities making fools of themselves and eating anything placed in front of them, yet I kind of like it like that, I like being able to discover music that next to no one has heard especially when its as good as whats going on in Japan at the moment where the experimental idm scene seems to be ripe and highly productive, never short of ideas and drawing me further and further away from the straight forward pop I was raised on, though there will always be a place in my heart for indie pop and as ever this year has brought a fair few new names to the table. 2008 has also seen some remarkable net releases which has enabled more people than ever would possibly have discovered such great acts as Bosques De Mi Mente or Cantaloup to name just two and filesharing whatever your views may be has helped thousands of bands be heard further a field than their own town, country or continent, this is how music was meant to be, it should never have been made a business rather an artform to be shared. It's been a great year and here's my best of, enjoy. Dotshop Said: It's been 20 months since Yasushi Yoshida released his fab post-classical meets electronica debut for the delicious Noble imprint. Now the time is ripe for a follow up, and we are exited and happy to be able to bring you another piece of humble and suggestive universe - beautiful, noble, elegant, and modern. Compositions to dream to. Bye bye spacetime. On your eyes. Another world. Welcome to “Little Grace” by Yasushi Yoshida. Piano, guitar, violin, live drums, cello, bass, saxophone, clarinets, and even saws. The album is a parade of songs compiled through a dramatic orchestration of these live instruments. Attention to detail, on every page, on every piano pedal stepped on, every breath of the horn, and every jump of the bow on a string instrument to create delicate and yet spectacular instrumental music. A refreshing find amongst a tired electronica scene, this was a glorious reissue of the best bits of two of Aus's earlier albums, an artist to watch closely. We Said: So you love Two Lone Swordsmen, you like the Boards of Canada but wish they played pianos instead of washing machines and whatever they use to make that wonderful wonderful musicn and most of all you love crunchy electronic beats and glitchy rythyms, look no further than Aus the brainchild of the wonderfully named Yasuhiko Fukuzono who at the age of four was made to attend piano lessons and how grateful i am that he did. Starting at the age of 13 to put together simple electronic music he now at the age of 25 has five albums under his belt. Beautiful and demanding your attention. 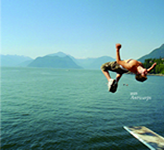 Preco Said: "Antwarps" is a gorgeous compilation album consists of early works by aus (Yasuhiko Fukuzono) from Tokyo. All the tracks in this album were selected from his groundbreaking debut album " Kangaroo Note "(2004) and the sublime follow-up album "Crowding"(2005) from U-Cover CDr Limited. These two albums were previously released as limited edition albums of which only 95 copies were produced for each of the albums. "Antwarps" is an elegant collection of fresh and melodic IDM, strong beat oriented Electronica and ambient works by aus who was only 21 years old by then. This album also includes exclusive bonus remixes by The Boats, Geskia and Jimmy Behan. Great release care of net label Aerotone who seem to been revealing all manner of great music free of charge. We Said:...dreamy and ambient, twinkly songs falling between post rock and electronica, arriving not a million miles from French Teen Idols sound but taking it to the next level with the aid of Eva Pauls beautiful voice who features on several tracks that bring a slight folk element to the equation. I cannot recommend Cantaloup highly enough. Nanolog Blog Said: Another fantastic download from Aerotone that is one of the best albums that I have heard this year. Impressive electronic ambience with some delicate acoustic guitars and etheral vocals Eva Paul. Truly brilliant! Instant Drone? Historically I'd struggled with the concept of drone but this was one of the key releases that instantly hit home, a great great album. We Said: Today I sat at work listening to Tim Heckers Radio Amor and though I have no doubt that he is a great artist just occasionally it all seems too difficult, too much time between crackles of static and too much straining. it made my head hurt, on the other hand The Fun Years have been drifting in and out of my ears pretty regularly. I think with drone music you have to be in the mood and the right environment, The Fun Years defy the rules creeping in and blending in to your brain before you know it, static sounds that dreamily drift quite beautifully. Boomkat Said: Finally back in stock. Ever wandered what a cross between GAS, Tim Hecker, Mogwai, My Bloody Valentine, Stars of The Lid and Philip Jeck would sound like? If so, you're in luck, for this utterly incredible album from 'The Fun Years' ticks all the above boxes and emerges with a 50 minute listening experience that's left us gasping for breath. There's a dense crackle and frayed balance to these recordings that makes you feel like the whole thing could disintegrate at any moment, pulling you in to a sound-world formed by broken instruments, the crackle of battered, old vinyl, the edgy ambience of the great outdoors in the middle of the night and, quite suddenly, an amplified wall of sound playing tricks on your senses. Each of these tracks begins with the fizz and snap of looped and popped vinyl and ends with a devastated, tumultuous re-arrangement of sounds, but it's the process from A to B that's almost impossible to fathom in one sitting. These kinds of aural tricks that make use of manipulated found sounds, turntablism and affected acoustic instruments are hardly new, but 'The Fun Years' mark themselves out with a brilliant disregard for generic templates and accepted convention, imperceptibly realigning sonic boundaries in the process. That seemingly effortless transition from one sonic methodology to another is what makes this album so special, just listening to the opening track 'My Lowville' takes you from a Philip Jeck style crackle to a reverberating acoustic strum, towering processes reminiscent of Tim Hecker and finally an opaque catharsis transmitted from deep inside Wolfgang Voigt's famous forest. By the time you reach the end of the album you're left astonished at this band's ability to create a sound that's at once so gorgeously warm and familiar, yet so confidently removed from the confines of precedent. Definitely one of the albums of the year - an absolutely essential purchase. Featuring remixes by collaborators Akira Kosemura & Haruka Nakamura should really give anyone an idea of just how lovely this release is, typical of the Japanese experimental idm scene each track stutters and stuns, taking your breath away as the violins glide past the pianos and you wonder if this is just about as perfect as music can get. Mu-Nest Said: Take the scent of a Sunday morning air, add a touch of an after-rain breeze, multiply it by the silent beauty of a couple of seashore sunset but removed the over-powering awe that surrounds it, and add a pinch of urban avant-garde grandeur, you’d be somewhere close to flica. windvane and window captures flica’s impeccable ability to balance simple playful musical creativity with subtle, honest emotional depths, combining youthful pop sensibilities with matured artistry. Thin layers of ethereal sounds create the ambience, helmed by easy-tripping electro acoustic tunes and grounded by sleek IDM rhythms; each number intricately weaves a subtle beauty that works its way to a refrained but magically spell-binding crescendo softly fluctuating to the sweetest and truest human touches. flica’s debut album is not one of extremities, but a collection of skillfully controlled heart-felt expressions, creating a sense of serenity that bridges dreams with reality. In this gorgeous album, besides showcasing the stunning vocals by Malaysian singer-songwriter Ika, it also features collaborative efforts with famed Tokyo indie label mastermind Akira Kosemura and talented electro-acoustic musician Haruka Nakamura. As a final magical touch, windvane and window is beautifully mastered by our dear friend, ricks ang, who is also one half of the splendid Singapore electronic ambient duo, aspidistrafly. Cyclic Defrost Said: As though bathing in an eternal afternoon, Flica breathes a calm beatitude, and indulges its appetite for sugar and spirits. Cleanness and precision mingle with the whimsical and blithe, the unbridled dance with the imperious, and there is joyance everywhere, as sweet as the first hesitant notes of the dawn chorus. All of this music is as sparse or as complex as one wishes, as engaging or as ignorable as birdsong, and as vital, animated, and monotonous as the ocean waves. Strong in substance, and mostly sharply focused, Flica’s programming keeps things nonchalant and understated, though not for want of ideas. A single creative flux does account for the entirety of the albums material, but it proves to be a fertile source of inspiration; its motley vibrations comfortably stretching out and assuming numerous pleasing shapes over the course of the album. Akira Kosemura - of Schole records - and Haruka Nakamura - who recently released Grace on the formers imprint - are responsible for production on a pair of songs, and truly this album participates and develops the appealing aesthetic that informs both of these artists, respectively. A rippling blanket of ringing though soft-edged tones and plaintive piano and violin harmony makes up track six, an album highlight. It’s also one of the pieces during which Ika’s clear, refreshing voice tinges the air with shades of rose, and accentuates the group’s ability for simple, beautiful melodies. As summery and buoyant as it is, so too is it vividly rendered. Every piece is rich, poetic, and stimulating as well. Admittidley a very recent discovery but a lovely one all the same and genuinely one of my favourites of the year, who would believe that you could pop onto Myspace or David's own website and download this free of charge. The songs twinkle along much like Cantaloup and although I hate to draw on the obvious Olafur Arnalds and Amiina are easy reference points, maybe Frakkur too, but as these artists have released some of my favourite records over the last few years then there is very little reason to complain. Each track features a spoken word excerpt perfectly delivered in an almost Miranda July like voice, emoting feelings and drawing you right into the songs in a similar manner to the outstanding closing track I Just on Encephala's criminally underrated We are the Dreamers of Dreams. Even on Peaks, a track I initially disliked, featuring vocals and instantly finding me thinking Electric President or The Postal Service but on a closer inspection this is a beautiful song too, swathes of strings slowly and majestically back the beats like Johann Johannssonn gone pop. A truly delightful release and more than worthy of the few minutes it will take to download. Victory Rose Music Said: "There is such a powerful emotional content threaded throughout this music it reminds me what music is all about and anyone who can express their heart through music in this way will always be a firm favorite of mine." Post-Rock Community Said: "It is every band's mission to spark the listener's emotions. Too often the play-button is pressed, in expectance of something great, awaiting the moments which touch our innermost feelings - however, they unfortunately fail to appear ever anon. But when David Beans from Cleveland, Ohio betakes himself into his studio to record The Loss and Recovery for two years, you feel the unlimited passion this EP is produced with." A welcome return from one of my favourite DIY popsters. The Research debut album contained track after track of perfect homemade pop, delightfully delivered on Argos catalogue keyboards and full to the brim of gorgeous boy/girl harmonies. How would they follow up? Where would they go next? Could they keep the Keyboard trick up? Well, although this received mixed reviews for me this was a total winner. Main man Russell taking the guitar as his chosen weapon and showing an intense knowledge of alternative rock, brilliant discordant Pavement, Yo La Tengo, Quasi-esque guitar lines and hooks by the dozen, a great album full of potential singles and for a change a step in the right direction by a band that could quite possibly have disappeared behind those toy keyboards. If you even claim to like pop music you won't be disappointed and definatley go see them live, they always put on an amazing show. IndieLondon Said: The result is generally engaging, with former single I Think She’s The One I Love among the pick of what the album has to offer – a charming love song fuelled by glockenspiel beats, melodic guitar riffs and dreamy boy-girl vocals. It’s layered and beautiful and certain to charm the socks off listeners of every music sensibility. We Said: Dianogah’s strangely titled qhnnnl is a dreamy autumnal album, some tracks are more “Alternative/American Indie” but the unusual core set up of two basses and a drummer makes for an interesting listen. When they are instrumental they are at their strongest particularly on the gorgeous Andrew Jackson, don’t be fooled by the Always Look on the Bright Side of Life intro, this is a dreamy number with delicately arranged strings that add the garnish to an already superb musical offering. On A Breaks B they could be mistaken for the Delgados, which is no bad thing in my eyes. Sprinter is lovely too, easily the best of the vocal tracks, again reminiscent of the Delgados Emma Pollack, though please don’t expect a new Delgados album of smooth Scottish pop, this is definitely “instrumental” and “math-y” but tuneful and upbeat in its approach, maybe in the same way that the aforementioned Scots always had a lovely bass line holding their songs together. Paste Said: Besides the obvious sturdiness of the bass-bass-drums lineup and an established tradition of pushing the envelope of post-rock, the very fact that the band will pull something new out of its formidable hat every time out has become more or less an expectation. This time around, on fourth full-length Qhnnnl, it’s a newfound attitude towards the heavily layered, melodic drive that’s defined the band for the bulk of its 13-year career. Dianogah’s usual propensity towards oscillating rhythms and challenging composition has given way to playful experimentation with vocals and additional instrumentation. Rather than yelping over intricate, would-be instrumentals as he has in the past, Jay Ryan uses his voice as another sparse, carefully calculated layer on the sometimes-flowing, sometimes-jarring 5/4 clomp of album opener “Oneone.” Vocalist Stephanie Morris (Scotland Yard Gospel Choir, The Pawners’ Society) lends her pretty coo to a duet with Ryan on “A Breaks B” and takes lead vocal duties on the plucky, almost poppy bounce of “Sprinter.” Guest instrumentalist and diminutive indie rock badass Andrew Bird adds lush, dynamic violin to “A Breaks B” and adds a few echoing strains of his famous whistle to the pillowy bed of strings that propels “Andrew Jackson” past lovely to transcendent. Speaking of transcendent, Dianogah fans may have come to expect the unexpected from these post-rock trailblazers but the band has yet to grow complacent in its own curiosity about the limits of rock music. Qhnnnl is another chapter in the group’s library of musical theory: That theory is for those who need parameters, and Dianogah needs only to know where they are so it can push past them. This would quite happily sit alongside Aus and Boards of Canada as near faultless electronica. More classically dependant than the Boards but equally as mind blowing and consistent. Scottish and proud of their heritage, Iglomat have succesfully combined the post rock of Mogwai with the sampleadelic mastery of Boards of Canada, Actung Kitler is one the best songs I've heard this year, they also have my favourite album cover of the year, apparently designed by one of the guys at my favourite Edinburgh bookshop, Analogue. 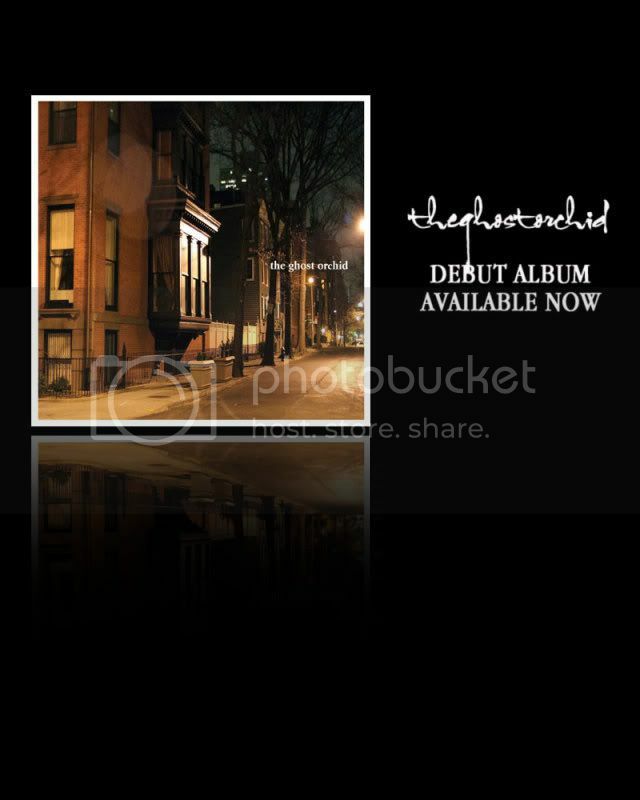 I like this album, alot. Record Collector Said:Who? Stunning post-rock perfection, that’s who! On the Iglomat website there is a picture of a guitar, amplifier, snakes of cables and an open laptop. This image perfectly sums up the music and philosophy behind Scottish Faustian David Jack, who is the tip of the spear that is Iglomat. Jack’s previous work has always been compelling, but with Iglomat he appears to have found the perfect crack to apply his musical cement. Like fellow explorers Labradford, Four Tet and early Tortoise, much of the music on this album is instrumental and played live (in person or over the internet, boys?) and then fragmented together via computer. We Said: If you ignore the fact that these are covers and sit back, take in those velvety vocals, let them wrap you up, let them warm your soul on these cold winter days, you will be left simply enchanted. With By The Numbers The Postmarks have taken 12 songs and made them their own, drenching them in reverb and letting them revolve around Tim Yehezkely (thats a female Tim) dreamy vocals revived from a sixties startlet. Dreamy and Jangly enough to keep any Sarah Records or Matinee Records obsessive occupied for a month or two, certain to be in my top albums for the year. World's Fair Said: With the gorgeous instrumentals and delicate sadness the band is known for, By-The-Numbers not only is itself a satisfyingly complete Postmarks album, it also alludes at what’s to come. There’s a darkness that still retains a warmth, a full range of emotion held in the spaces between words, alluring and mysterious and innocent and utterly beautiful all at once. Another great release on the highly reliable Aerotone label. We Said: Trondheim on the other hand is more beat driven and classically influenced, occasionally borrowing from the text book of Detektivbyrån but bringing an altogether more techno feel to the proceedings with stuttering beats complimenting gently played pianos and keys and on tracks like Der heimliche Star des Abends bringing back memmories of Random Number at their best. Aerotone Said: "Zum Abschied", Trondheim's third netaudio appearance (after two EPs on Interdisco), is a collection of six pieces of electronic music ranging from happy Pling Plong to the melancholy of farewell. Pick your favorite state of mind. A delgihtful album much in the same vein as Flica and a more laid back Aus, some truly beautiful moments on this 14 Track album. Now Like Photograhs Wrote: Quite possibly the prettiest music to ever come out of Tokyo, Kosemura’s second solo release (third if you count his split LP with fellow minimalist gorgeous music maker Haruka Nakamura from last year, which neared the top of our year-end list) grabs you by the heart and never lets go. Specializing in meditative acoustic guitar and electronic loops this time around, with less focus on the heavenly piano that filled his 2007 debut, the album feels both genuinely eclectic and reflective. Smallfish Wrote: There's something very comfortable and appealing about Akira Kosemura's music. Over the past few years his body of work has grown and matured and now with this release I think he's reached a new level of refined simplicity and beauty. For the most part this is an album of three distinct ingredients; electronics, piano and guitar. They're put together with such loving care and well crafted arrangements that it's hard not to adore it. There's a modern classical touch to a couple of the piano pieces in particular and I don't think I'd be far off the mark if I said you could certainly hear a Michael Nyman-esque influence in there. 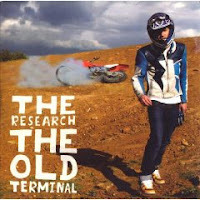 The crunchier, electronica moments back up the organic tones superbly and it's a chilled out, relaxed album all round. With an abundance of melody and a deft touch on the production Akira has truly delivered a magical album. I'm a big fan of this and, as such, it's a recommendation. Textura Wrote: Tiny Musical perpetuates the pastoral melodicism Tokyo-based Akira Kosemura showcased so effectively on last year's Someone Good release It's On Everything. On his second full-length solo album, the Schole leader's piano-centered music again overflows with life-affirming spirit and refreshes like a late-afternoon summer breeze. His music's innocent and nostalgic in spirit and listening to it is analogous to flipping through old family photo albums and remembering treasured childhood moments biking through the countryside (“Departure”) or lazily lolling at the beach on a peaceful afternoon (“Seaside”). Contact Music said: Cheer Gone, as with Childs' previous solo outings, are a far cry from the psychedelic non-sense of Gorky's Zygotic Mynci but although you can take the Childs out of the Mynci, you cannot take the Mynci out of the Childs. In anybody else's hands, these songs would drag themselves flatly through backwater open mic nights, holding out a sticky pint glass in the hope of some fiscal reward. In the palms of Euros Childs, however, they are lifted, exalted to quirky, retro-sounding ballads, played at double speed and doused in idiosyncratic instrumentation. 'Always Thinking of Her' is a charm; just vocals and piano, the clarity of the keys piercing through Eros' soft and lilting Welsh voice, just the right side of twee. The closing 'Sing Song Song', on the other hand, tips over the twee cliff into the crashing waves of the great ocean of `twee. It's a throwaway end to the kind of album you should want to hold on to. 15. 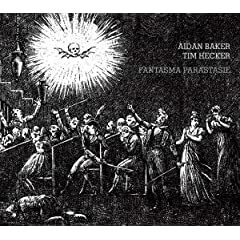 Aidan Baker & Tim Hecker - Fantasma Parastasie The Silent Ballet Said: Two of the biggest names in abstract minimalism get together to smear brains with distorted, drifting drone weather. Aidan Baker releases a record every two weeks on average, which is not only remarkable, but overwhelming for those keeping track. Tim Hecker is a bit more reserved in his output and crafts textured washes using fractured samples of guitars. Together, we get one of the most compelling sonic landscapes in recent memory. Baker and Hecker choose to go pretty "heavy" on this release, blowing sound out so far it crumbles over the horizon. While a lot of minimal/drone music emulates nature as songs evolve, build, and fall apart, Fantasma Parastasie takes us to another level in the tumultuous realm of creation and destruction, and it magically massages the mind. A wonderful album of piano based post rock, like Balmorhea but better. 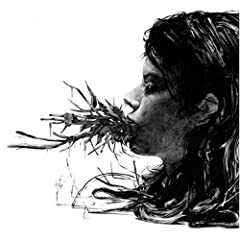 Last FM said: Hailing from San Diego, California The Ghost Orchid seeks to create a sound that encompasses the intensity, beauty and sorrow of the human experience by translating these emotions as soundtracks for everyday life. 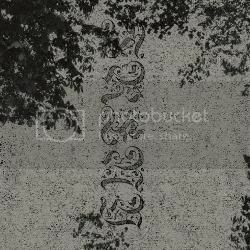 The Ghost Orchid was formed in late 2006 as a collaborative side project with the intention of combining a collection of songs, ideas, and instrumentals from the visions of two independent artists from different genres of music. 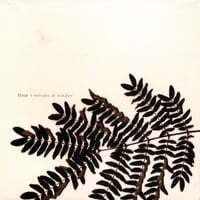 Bosques wrote: Just an album of simple, melancholic, minimalist music. It revolves around the concept of loneliness, distance and isolation. The inspiration for this disc has come from my own situation since I released “LoFi”, isolated in a new city, trapped in a room around a mess of cement and asphalt, far from everyone I knew. The Silent Ballet Said: This dual infusion of melancholic mood and stubborn tenacity helps to lift Ruido Blanco above other piano-based instrumental albums, because the narrative of the recording lends itself easily to introspection. Most music lovers will easily admit that somewhere along the way they encountered an album that brought them through a period of depression, or even saved their lives. Often this is a function of chance: a certain album was purchased at a certain time, a song reminded them of a certain moment. Seldom are the lives of the artist during composition and the listener (who arrives months or years later), matched to such an extent than the very act of listening seems to produce a feeling of mutual empathy: the listener senses the pain of the composer, while simultaneously feeling that the composer has written the piece especially for them. And yet this is the case with Ruido Blanco. We Said: I'm sure it will not be to everyones taste but i can't help but instanstly adore them. Their sound is like half concious visions of the future, blurred and scant of detail but giving enough for you to put your own twists and interpretations to it. A hazy morning hungover F Buttons, their batteries running low, energy waning. A great introduction to the world of drone and noise, a beautiful cover too. Boomkat Said: From the opening quickfire throb of 'Green Flag' you'll instantly recognise that familiar Growing template, but the formula is undoubtedly at its most refined on All The Way, sounding like a more layered and complete record than just about anything the group's done previously. 'Green Flag's tremolo flickers merge with unnerving bullfrog-like croaks and wheezy oscillations to fashion a peculiar melodic quality, and further to that, deeper into the album and beyond the expected shimmering soundscape effulgence, 'Rave Pie Only' sounds like a techno record infected by some strange mutant virus, having an effect not unlike Black Dice at their most effective and alien. Elsewhere 'Lens Around' toys with Kompakt's Pop Ambient sound to great effect, before 'Reconstruction' caps off the album with '60s organ-fuelled psych and monstrous, insectile sound effects. Ace. Another lovely release from German pianist/ composer Volker Bertelmann, better known as Hauschka, the player of prepared piano, this time adding lavish contemporary orchestration to the familiar sounds to great effect. 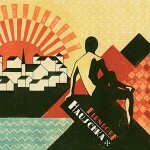 Boomkat Said: If Richter's music is characterised by a neo-romantic sense of drama, Hauscka's is more entrenched in the 20th century avant-garde, bringing to mind not only the famous forefather of the prepared piano, John Cage, but perhaps also the confrontational yet playful plinkety-plonk of dada too - there's even a bit of a krautrock undercurrent in here, as hinted at by the mesmerising 'Barfuss Durch Gras'. The repetitions and machine rhythms of 'Rode Null' contrast with the slick, string ensemble dynamics, yet bring to mind Philip Glass, or even Rachel's in their engagement with the minimalist traits of modern classical narratives. Much of this album is content to be overtly, undeniably pretty though: 'Heimat' is a simple, beautifully melancholy piano theme, while 'Morgenrot', 'Neuschnee' and 'Weeks Of Rain' bask in their own sumptuousness. An absolutely gorgeous album - Essential Purchase. 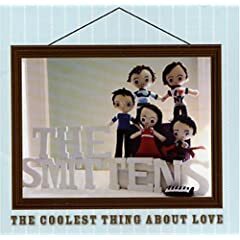 Considering my background in all things Kindercore it's rare that i find myself stumbling over great Elephant Six-esque pop but The Smittens third album is an absolute delight recalling the much missed Fablefactory and many other Athens pop bands. We Said: For full on Elephant Six esque pop look no further than The Smittens who have recently released a great album on the legendary Happy Happy Birthday To Me Label, bringing back memories of one of my favourite pop bands ever Fablefactory and the adorable Essex Green, no bad thing if i may say so myself. The Yellow Stereo Said: Of course, judging by the name of the band, you should already know what to expect when listening to them for the first time. 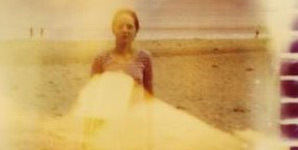 Call it whatever you will, but this is lo-fi indiepop at its best. We Said: Here we find lush folk songs, songs that recall the excellent The Finches, yet more like them had they joined forces with the Charalambides, everything soaked in reverb and sounding magical for it. 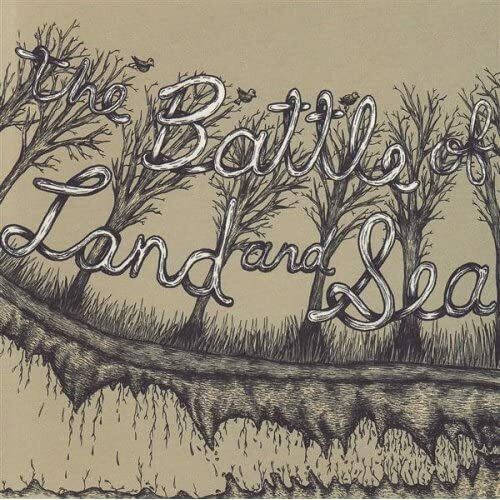 Obvious references would be Josephine Foster and Marissa Nadler, maybe Beach House too but really references and influences are unecessary in this case as The Battle of Land & Sea have produced something beautiful enough to be recognised in their own rights. Amazon Said: To describe the sound of the battle of land and sea, one might call up images of abandoned sea-worn ships floating through a thick coastal fog. And upon first listen you might call to mind cat power, or the soft glow of songs of green pheasant, but eventually, you start to hear what makes the music of Portland based Sarah O Shura so special. You get a glimpse of a world through the eyes of someone on a musical pilgrimage, whether the tales are laden with sorrow or joy, they are enchanting and hopeful. Growing up in a remote northern californian town as an only child definitely left its stamp on Sarah s imagination. Six of the eight tracks on this debut full-length stem from a hand sewn EP the band self-released in early 2007 and revisited for this release. Jacob golden produced the album at his home studio in the summer of 2006 and spring of 2007, seasoning the home spun vibe and intimate songs perfectly. We Said: Somewhat more loveable than Patrick Wolf and coming on like Final Fantasy if he re met all his childhood friends only to find out they had formed a string section to accompany his somewhat awkward tones and quirky lines. Like Danielson, fun, euphoric and almost nursery like at times yet always with a healthy supply of pomposity on show. Like the Magnetic Fields writing the score for a beautiful ballet, pitchshifted vocals and a healthy regard for all things Magnetic Fields. This is the kind of album that deserves a touring theatre group to pen a play to. Boomkat Said: There's undoubtedly a Van Dyke Parks factor to all this, as Entanglements strives to bring the experimentation of modern classical music into the altogether more approachable and whimsical world of American pop. We Said: ...with Dream Island Laughing Language the Lucky Dragons have come somewhere close to the perfection of Dark Falcon. For me it is too long, but I don’t think any of their albums are intended to be sat down and listened to in their entirety, some songs would stand a chance of making their way onto Dark Falcon, others exceed the quality of that and show a more tribal feel to the dragons sound, especially on highlight Givers, a wondrous almost acapella take on the one good song from Four Tet’s Everything Ecstatic disappointment of an album. I Keep Waiting For Earthquakes & Typical Hippies follow a similar formula, electronica carved out of the most unlikely of “instruments” with lovely results. Mistletone Said: This is music that articulates Lucky Dragons’ experience in America right now. Messages of unrest have long failed to be clearly understood, solitude and empty organization have given way to a very current volcanic desire for togetherness. Genre has never been less important; influences and ideas are consumed and digested and released in the spirit of a culture larger than music as it is bought and sold. This is world music for a world that doesn’t care about “music” as we have packaged it for the last 100 years. You could call it post-noise, or post-anything you like, but we would prefer to call it pre-something. It kind of goes without say that if its on Noble its going to be nothing short of exceptional and yet again the point is proved on Midori Hiranos lovely follow up to 2006's Lush Rush. Noble Said: The tingling excitement of improvisation and the spiritual melody like sacred music…the fragile but thoughtful voice and suggestive lyrics like an ancient European…midori hirano’s new album is a woven fabric of originality that proves the artistic maturation of the artist and her sounds with its deep stoicism and uncompromised beauty is awaiting for you to enter its labyrinth of sound. Hair E wrote: "Klo:Yuri" is a myriad of sounds interwoven like fine lace. Classical piano is Midori Hirano's musical background. This is clear in her music yet she develops it with improvisation and computer work. In addition to piano there are other instruments, electronic sounds and field recordings. Vocals are also fairly prominent on album and give an ethereal elfin quality. It has delicate moments with a dash of sternness beneath, which provide a fantastical essence - like gliding over unknown yet familiar landscapes. Cyclic Defrost wrote: Midori Hirano’s second outing maintains the freshness and definite allure of her debut, but a certain maturity of composition now affords it a highly appealing luminous quality that makes its presence more lasting and fundamental. Hirano’s strongest quality remains her lightness of touch which is immediately affective and readily digestible. In these works, this ability now plays within a soundworld that is both more agile and consistent, fleeter and more robust. I'll admit to this being a very recent discovery and imagine it would have been alot higher had i discovered it six months ago. This is more Japanese Idm perfection much in the same vein as Aud and A-Fei, seriously worthy of your attention. Boomkat Said: Japanese producer Geskia has fashioned an impressive hour's worth of advanced underground hip hop and post-IDM electronica on this enormously enjoyable release for the Flaü label. The real strength of this music lies in the sophisticated, densely layered beats that keep Silent '77 thumping along with a powerfully constructed elegance. You might compare the high-gloss sheen of these productions to the strongest output of Telefon Tel Aviv, or perhaps Sketchshow's excellent Loophole album from a few years back. You could easily place this among the finest releases on labels like Hefty and Merck, so comprehensively does it integrate forward-thinking beat programming with melodic electronic backdrops, incorporating the near ambient soundscapes of 'Gate Musick' to the addictive electric pianos and drum chaos of 'Over The Three Rainbows'. Anyone craving high quality electronica (in an age when the entire genre seems to have ceased business) should take a listen to Silent '77 - it's a very contemporary take on a sound that seems to have been prematurely written off. Recommended. Great dance/ post rock crossover band, just found out today that all their albums are available on the follwoing basis "We operate on a PayPal-What-You-Want system. It's not a guilt trip or a pressured sales pitch. Listen to a track on the site; if you like it, consider dropping some coin in our box and download the mp3s to take with you. It’s a new world order in music, and we’re glad to be part of it. Plus downloading has zero environmental impact and our electrons have a fresh lemon scent. "I'd say that the previous two albums are superior yet this is a great album too, give them a try. We Said: El Ten Eleven remind me of two of my favourite discoveries, back in the day when I’d purchase albums simply based on how much I liked the look of the cover, State River Widening & 33.3. Simple and understated, staccato melodies picked out on deep strings. These Promises Are Being Videotaped, the latest offering from El Ten Eleven sees a move towards dance, like Justice covering Tortoise, and is a successful attempt at pushing the boundaries of “instrumental” music. Both their previous albums are less beat driven but come highly recommended. A wonderful album of bluesy rock, like a more song based Comets on Fire and coming accross much better on record than the aforementioned do. Feel good to the extreme and guarenteed to have you playng air guitar or doing your frontman struts and poses. 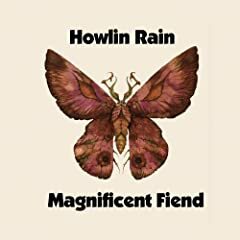 Delusions of Adequacy Wrote: On paper, Howlin Rain are nothing special: they have beards, know classic rock, play music in California and probably shop at thrift stores. But most bands fitting this description capture audiences with pop-rooted hooks, folksy sincerity or psychedelic sing-alongs. Howlin Rain's weapon of choice is soul. Magnificent Fiend's strengths won't surprise fans of front man Ethan Miller's other band, Comets on Fire. Nor will it awaken listeners of some bands New Weird America. But this album is a feast for the uninitiated. Howlin Rain is a sextet out of Santa Cruz, California. Their sound is classic rock revival, at once Southern and West Coast. Refreshingly familiar, Magnificent Fiend churns out hippie spirit and bluesy soul with great execution in 8 solidly produced tracks. A Hammond B-3 organ is the elephant in the room. Joel Robinow eeks lots of soul out of that organ, and every key is mixed front and center with Miller's raspy, spot-on vocals. These tracks are always rich, even when stripped down. Having long been confused by Fennesz and all the hype that surrounds him amongst the post rock/ instrumental fraternity I very recently fell in love with Endless Summer after numerous attempts to understand the album. I was lucky, most people have had to wait four years since his last album. I feel given more time this would bemuch closer to the top of the list. 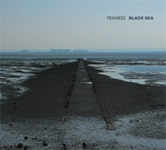 Dusted Wrote: It’s one of the best things Fennesz has ever done, and a fittingly oceanic addition to his virtually aquatic oeuvre. Boomkat Said: Black Sea is far and away one of the year's most beautiful records, both in terms of the music itself and the sheer iridescence of the electronic sound harnessed within. A personal favourite artist of mine, Anticons finest, Dosh again came up with the goods mixing hip hop with Rhodes organs and in this instance Bonnie Prince Billy, lovely as ever even if it didn't quite have the same impact on me as 2006's The Lost Take. Paste Said: Wolves and Wishes, the fourth album by studio whiz Martin Dosh, is a shimmering, almost completely wordless affair, as zesty and refreshing as a slice of lemon. From the resounding vibraphone riff that kicks off opening track "Don't Wait for the Needle to Drop" to frequent Dosh collaborator Mike Lewis' closing sax notes on "Capture the Flag," Wolves and Wishes presents upbeat, unique compositions that allow the listener's mind ample time to wander freely. 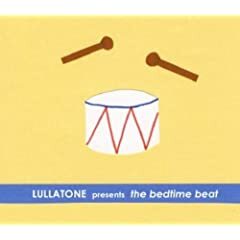 We Said: It’s been a wee while since I’ve heard an album that I though I just had to write about instantly but from the wonderful opening track it was clear that Lullatones "The Bedtime Beat" was going to be one of those. Simple, cute and creative beyond belief, like the child who is given a cardboard box rather than a remote control car or whatever the kids are playing with these days, that cardboard box will become to the child whatever he so pleases and so to Lullatone each and everything in their sight is transformed Rugrats style into something else. 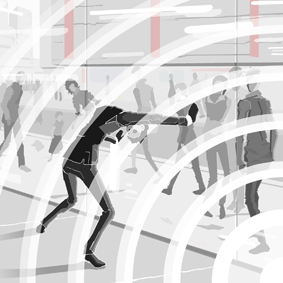 An unrivalled ability to see the most unlikely things in the most mundane objects and sounds. The bathwater becomes a drum pattern, as do secretly taped snores, there are no boundaries, all objects are instruments in their eyes. So here we have a minor masterpiece, this is the sound of Deerhoof had electricity never been invented, Mice Parade if they had had all their batteries stolen. Cute, clever and certainly more than worth of your attention. Boomkat Said: "The Bedtime Beat" is also a layered album that holds an array of intriguing production techniques and melodic inventions up its sleeve - the result is a small and perfectly formed collection of off-kilter lullabies to make your heart melt. Although the lyrics on "Your Snore" are almost unbearably twee, the music itself will send you into a spin of hazy wonderment, found sounds and a solitary organ making for a reduced tingling sensation that we just adore...At just over 20 minutes long its a short and sweet affair, but by the time you reach the tender whisper of final track 'Oyasumi' you'll most likely already be off with the fairies... Lovely stuff,"
If you, like I, love Bill Callahan's voice but can't always hack the more drawn out songs, or wish he'd just get a move on and duet with Joanna Newsom more often then you will be as thoroughly charmed by Michigans Breathe Owl Breathe. Fume Said: Comprised of Micah Middaugh (guitar, vocals), Andréa Moreano-Beals (cello, vocals) and Trevor Hobbs (percussion) — the Michigan trio Breathe Owl Breathe explore the many wonders of Mother Nature. Singing tales of a frozen sabertooth Tiger trapped inside a giant glacier, an orphaned turtle brought up by frogs, and all kinds of other creatures that once graced the earth that still inhabit their minds eye. 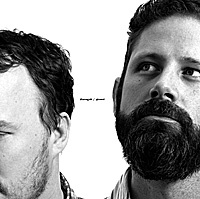 Told from a viewpoint as feral and simple as their subjects.Middaugh's deep, grizzly bear, vocals are uncannily similar to Bill Callahan's (Smog), they even seem to share the same mannerisms. Combined with Moreano-Beals, as pretty as a songbird, high notes you are placed within a forest landscape that is as calm as a stream, with ripples of unpredictability that's as real as nature itself. Do you miss the the Shangri-La's, i do. Not that I'm old enough to remember them but they are one of the greats and if Mary Weiss's outing with Reigning Sound didn't quite cut it for you then look no further than Strawberry Fairs delicious I Can't Do Anything. Straight out of the sixties, full of teenage crushes and guarenteed to have you singing into your hairbrush. Heaven is Above Wrote: Every song, except for maybe "Kristoffer", is an instant hit combining lyrics that aim straight for the heart and vocals that could have made Phil Spector shed a tear with a clean and modern indiepop sound. One of the best bits of Belle and Sebastian-esque pop to surface this year, a very special little EP. My Little Ghost Friend Said: The song, "Don't Stop," is the perfect indiepop remedy for those mid-quarter/mid-semester blues that have been plaguing you (and I). Boy/girl harmonies, shimmering guitars, summery melody... what more could you ask for, mid-February? We Said: A lovely blast of summery noise pop, contagious as pop music gets with its ooooo-ee-oooo’s and its laid back slacker cool attitude. With the melodic charm of the Lucksmiths getting covered by the Shop Assistants this is a summer classic certain to bring a smile to your face and have you dancing your socks off at every indie disco you attend between now and forever. I really want to love this album and I think in time I will. Boomkat Said: Marsen Jules, Arvo Part, Zbigniew Preisner's soundtrack work for Krzysztof Kieslowski, Deaf Center, Max Richter, Erik Satie, Alberto Iglesias - if you are familiar and in awe of any or all of these names then this latest album on the exceptional Miasmah label will no doubt end up on your essential listening pile for the foreseeable future. Jacaszek has managed with "Treny" to assemble an album so heart-stoppingly beautiful and personal that we've been stunned into silence for its entire 55 minute duration. With string arrangements provided courtesy of Stefan Wesolowski, the foundations of the album are set with Cello and Violin painting fragile outlines coloured by subtle electronic manipulations, harp, piano and reduced, haunting operatic voices. Unlike so many of his contemporaries, Michael Jacaszek doesn't make use of any samples, with everything on the album assembled by the musicians on hand (notably Maja Sieminska, Anja Smiszek-Wesolowska and Wesolowski and Jcaszek themselves) - and the subtle grandeur of the album is almost impossible to take in over one sitting, even if the impact is absolutely immediate. This is the kind of album that you just cannot believe a bijou imprint like Miasmah is able to lay its hands on - such is the scale of its success that it feels like a hugely important piece of work, far outweighing almost anything else we've heard in the modern classical field these last eighteen months. Cinematic without ever feeling contrived, "Treny" is surely one of the most impressive, mystical and astonishing albums of the year - we just cannot imagine that anyone listening to it will fail to be utterly bowled over and taken in - listen to the previews and you'll get an idea of just what we mean. Deaf Center's Miasmah label has slowly and carefully assembled a life-changing catalogue of releases designed to enrich and expand our musical horizons, and with "Treny" they have just delivered their most complete and compelling musical statement to date. We absolutely implore you to check this album out, one of the year's most important releases thus far. ESSENTIAL PURCHASE. "If faced with the difficult task of pinpointing the most listener friendly of the six songs, I would be at a loss. Each is brilliantly constructed with profound, beautiful low key guitars that erupt into a crescendo of stringed intensity that is enhanced and multiplied by crashing percussion." "...it is the kind of music that can really touch people on an emotional level. 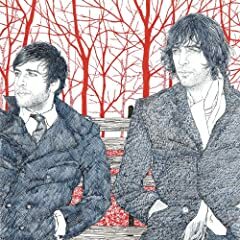 Most of their songs start off the same way, a slow and haunting tune that builds up into an explosive and dramatic crescendo..."
We Said: like Belle and Sebastian with a greater love for Simon & Garfunkel, for Modesty Blaise, for Love . like Suburban Kids With Biblical Names if they slept in silk pyjamas, really quite brilliant. Big Diction Said: Feel good albums are a tricky thing. Every time I put one on, I dig all over it for a couple of listens, and then I feel kind of dirty for listening to something so obviously happy. No matter what’s getting your goat-gears a-grindin’, I can assure you that This is Ivy League will cheer you up, that’s a given. From the introductory cymbal roll of “The Richest Kids” to the fleeting organ vibrato that closes “Don’t Waste Your Love On Me,” the soul of this record is sunny and cheery, like watching a parade go by outside your mid-town hotel room window. Norman Records Said: On the ever so quaint Japanese imprint Schole and housed in a case with some beautiful images of sunflared landscapes, this set, like much of releases on this label, takes in the pastoral ease of long stretched out-days and lazy days of next to nothing to do but listen to softly lilting music. If only most of our lives were like that huh?! The music is minimal, serial in places, but mostly easy going charm constructed from strummed guitar, melancholic piano lines, outdoor field recordings of kids at play (always a winner for envoking childhood nostalgia), the merest hint of digital detritus and the breathy vocals that japanese twee-pop producers are fond of. We said: Guitar Hero, James Blackshaw, not in a Marnie Stern way, more John Fahey, Alexander Turnquist, fingers picking away like there's no tomorrow, liek Charlie Parr if he was more into Eluvium than backporch blues. Litany Of Echoes is daunting on first impressions, three songs over the 11 minute mark but each one is done so well that the time soon flies by mixing the frantic yet calm picking with lovely pianos, epic and equally remarkable. Boomkat Said: his last album 'The Cloud of Unknowing' was his finest moment yet, and I stupidly assumed his work couldn't get any better. I should have known he'd pull it out of the bag though, and 'Litany of Echoes' is every bit as triumphant as its predecessor, if not even better. Interestingly enough we begin with Blackshaw taking the piano - it's as if he wants to tell us that he knows he's one of the finest living guitarists, but he can play the piano too. And play he does giving us his take on Morton Feldman or Charlemagne Palestine with 'Gate of Ivory', which serves both as a stunning track and a beautiful introduction to the record before it launches into the epic 'Past Has Not Passed'. This track is possibly Blackshaw's most richly orchestrated to date, beginning with a shower of delicately bowed strings before Blackshaw allows his trademark 12 string to make an entrance, thick and beautiful in its timbre. Richard Skelton - Marking Time Boomkat Wrote: Providing what is no doubt one of the most beautiful albums of the year so far, Richard Skelton is a prolific recording artist whose work is ordinarily made available via his private press imprint Sustain-Release. "Marking Time", however, his debut for the fantastic Preservation' imprint, is something very special indeed. A seven part song cycle based around seemingly extraordinarily simple, elemental components (just piano, guitar and bowed strings), the resonance of these exceptional pieces stems from the barrage of overtones and stray harmonics that bristle and squeal from Skelton's bowstrokes. It's an incredibly beautiful, fragile set of tracks that underpin instrumental sorrow with simplistic innovation. When classical traditions are merged with sonically daring ideas the results can often be messy, but Skelton manages to work his ideas within a self contained framework and emerges with a sound that's both harrowing and unforgettable. There's something incredibly moving and otherworldly about the end product, sending shivers down the spine on the tumultuous 'Shore', or the slow, swelling chords of 'Brook'. This album is a pronouncedly minor key affair, seldom breaking out of its state of sleepy sorrow, but to break its tone would be to break the spell: an immensely powerful forty minutes of melancholy, untarnished by self-indulgence or sentimentality, and it feels utterly timeless. Gorgeous.